AutoCrypto Bot is an automated trading software for cryptocurrencies, it can trade your account on autopilot. Its website says that you will get a “guaranteed income” with the robot. The robot is free, so is it really that easy to make money? 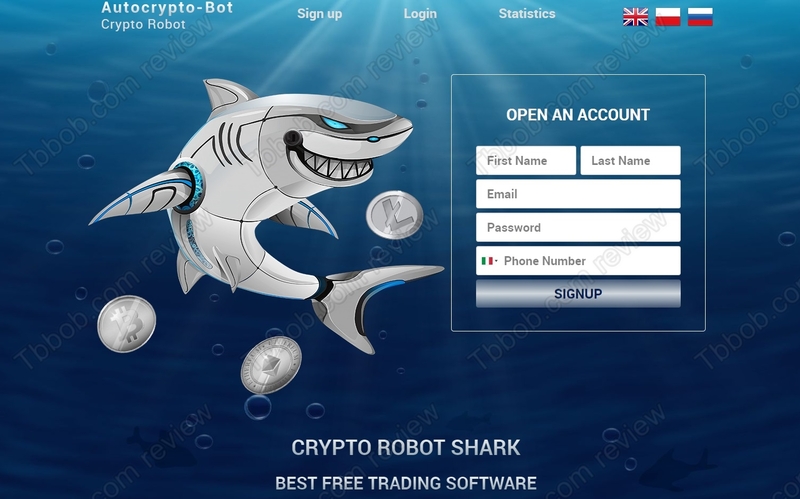 Autocrypto Bot / Crypto Robot Shark is in fact a scam. It won’t earn you any money, it will take your own money and lose it. How do we know it? Because it uses a known scam software that is used by scams only. On our picture you will see examples of other scams based on this same app, like Bit Invested, Verified Robot or Crypto Robot 365. This software has been around for years and we get a lot of feedback about it from real users. They all confirm to us that it is losing money in real trading! This app that AutoCrypto Bot is using sometimes offer a demo, but it is a scam demo, because it uses fictitious prices to generate fictitious profits. Moreover, AutoCrypto Bot is totally anonymous and unlicensed, it is an illegal trading software in most countries! The real and only purpose of Auto Crypto Bot is to make you deposit money with the non-regulated broker BeCFD. This is because people who run the robot are getting paid by this broker for referring new depositors. This is why the trading platform won’t be active until you deposit money with the broker. If you do it, the robot will lose your deposit and you will never see it again. AutoCrypto Bot aka Crypto Robot Shark is a scam made to lose your money with a crappy broker. Stay away from it! If you are interested in making money with cryptocurrencies, try a free demo account with a regulated broker. 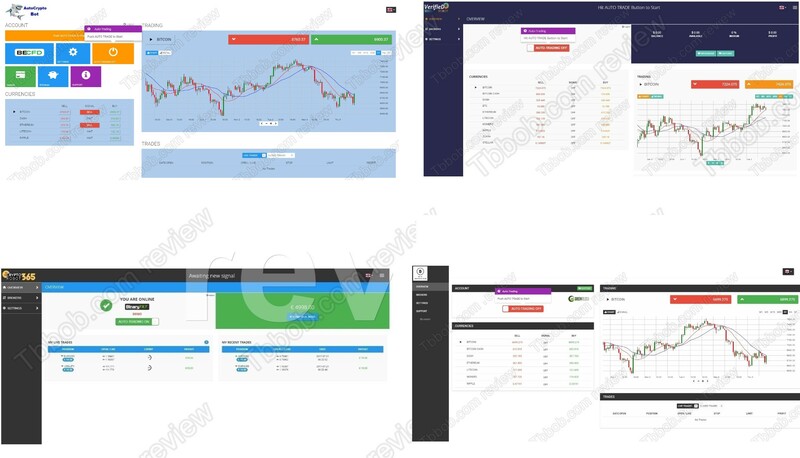 On the demo you can learn and prepare for real trading, should you decide to invest real money at a later stage.